"Dazzlingly heady and deeply personal—a rumination on her literary career and artistic mission, which is to reveal and honor the aching beauty and unfolding drama of African American life... Have there been many minds more intriguing, or writers more sublimely challenging? The Source of Self-Regard excavates Morrison's vast well of knowledge. Open its pages and receive." "In an era when complex ideas are reduced to slogans and tweets, when language is dumbed down and truth so often debased, The Source of Self-Regard moves with courage and assurance in the opposite direction. What a gift." 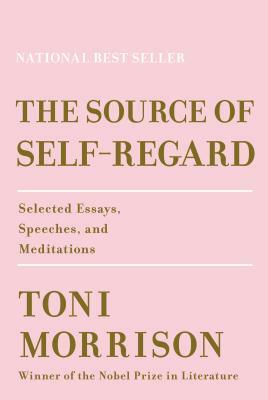 "Brilliantly incisive essays, speeches, and meditations considering race, power, identity, and art... Powerful, highly compelling pieces from one of our greatest writers." "Morrison turns a critical eye on race, social politics, money, feminism, culture, and the press, with the essential mandate that each of us bears the responsibility for reaching beyond our superficial identities and circumstances for a closer look at what it means to be human." "Some superb pieces headline this rich collection...Prescient and highly relevant to the present political moment..."